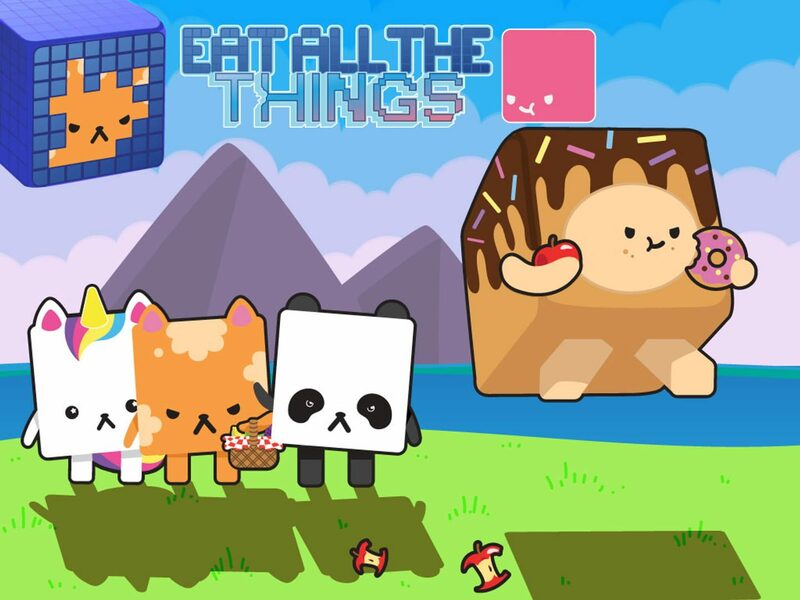 Eat All The Thing is a 3D platformer with a stealth element. Eat all the things without getting caught! Targetting Nintendo Switch, PC, Mac, Linux, and Android. Eat All The Things You play as Bronut, a little guy who loves food so much he's dressed himself up as a donut. His love for food means he just can't help himself, whether the food belongs to him or not. As it goes, Bronut doesn't count his macros... he puts on weight with each snack, making him larger and slower. But putting on the weight can work out in your favour! You can weigh down big switches, reach higher places, resist high-speed winds, and much more! Be sure to visit your local TABLET station to "unload" when you need to! As you progress through the game you will encounter new and interesting foods, such as colder than cold ice creams and the sweetest of sweet doughnuts. These may give you side-effects such as brain freeze (enabling you to walk on lava), and a sugar rush (increased run speed and jump height).